Take your mail with you! Switching jobs? Graduating? Moving to a new email provider? Take your mail with you! MoveMyMail is the easiest way to transfer your mail from one service to another. Don't let all of those important emails disappear--back them up so that they're always on-hand. Your first transfer is free for up to 250 messages, regardless of size. Whether you're a company moving to a new mailserver, someone looking to change email providers, or someone who's looking to archive emails from an account that's going to be disabled (such as a graduating university student or someone leaving a job), MoveMyMail's got you covered. 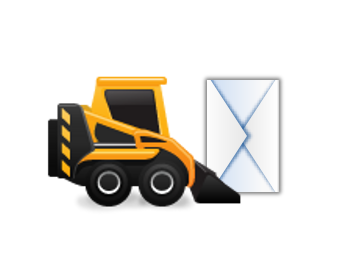 MoveMyMail provides a super-simple and super-fast solution to the common problem of mail migration. You can try our service FREE while we're in beta. Click on "Migrate" above to beta test a migration. Our three-step migration wizard makes your email migration brainless and painless. In most cases, all you need to know is your email address and password. Check the forums or contact us for help if you ever need it. Get started now. Fast servers with fast connections ensure that your migration is completed in a timely manner. We use high-grade encryption--the same stuff banks use--to protect your login information. Tested in several environments, our system is proven to work. Features are being added on a regular basis. If there's something you want to see that we haven't thought of already, contact us.